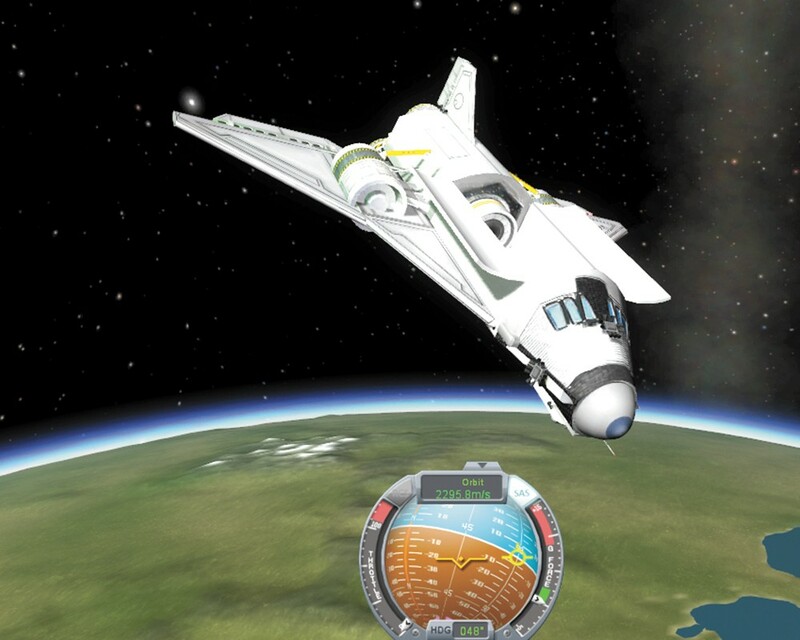 Kerbal Space Program: It's like stay-at-home space camp. Remember the game your fifth-grade teachers made you play in an attempt to actually make math fun? Well, Math Blaster didn't make math fun. As a fifth-grader, I saw through the thinly veiled ploy to get me interested in multiplication tables. No facade of fun characters or funky music could smother the indelible misery of mathematics. Since those grade-school days, I've nurtured a paranoid suspicion of "learning games." When I first encountered , an indie prerelease open sandbox, my conscience nagged me. Math and physics, dare I say academics, were lying in wait here. What I found was a darned cute race of aliens trying to get to space — no boring physics problems in sight. As you launch your innocent little Kerbals into the solar system, hurtling their bodies into the great unknown, you don't realize you're actually doing and like a regular NASA employee. You're just hoping your rocket will maintain trajectory and not get consumed by the blazing inferno of the sun. It's learning carefully disguised as a terrifyingly addictive space game that fooled even my own suspicious brain. Right now, Kerbal Space Program (kerbalspaceprogram.com) is still in alpha (meaning the game is released as a "tester" before it's finished). Because there are no standing objectives and few game-regulated guidelines, players can explore the Kerbal universe in sandbox mode. Your ability to craft a sturdy spacecraft is the only limit, with a whole universe of planets to land on. This is amazing. There's something endearing about playing a game in its infancy, watching it grow, and sticking with it until adulthood. While players won't be guided by a story line, the "choose your own adventure" feel of alpha testers has gained popularity in recent years, especially on the indie scene. Alphas boast a less expensive price tag, give players 100 percent freedom, and allow a communication channel between developers and the consumer. Tack on the added benefit of actual learning, and you have a game that should be picked up before its official release.